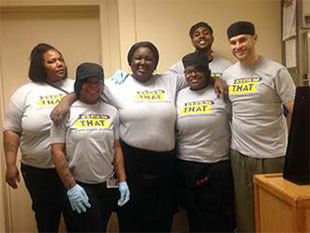 “We’re better than THAT” places the power and responsibility to shape our community in each of our hands. By learning ways to react when we offend others or are offended by them, or when we are a witness to an ugly comment or conversation, we can acknowledge and act on this shared responsibility. 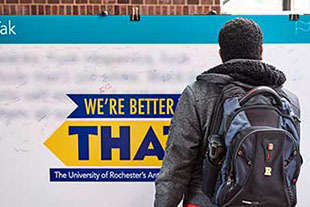 Throughout this semester and in the future, the "We’re better than THAT” campaign will educate students, faculty and staff on ways to approach difficult conversations on divisive topics and to stop hate speech and racism in our community. 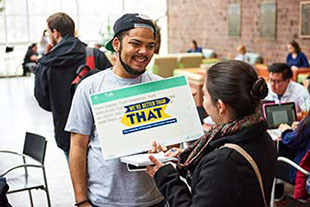 A three-minute video called “Meliora,” created by Irfan Bashir '19, features University students of different races and nationalities holding signs with phrases that illustrate the multiple cultures and ethnicities found on campus. 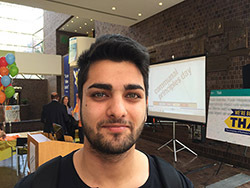 The video was awarded first place in the University's antiracism video contest. 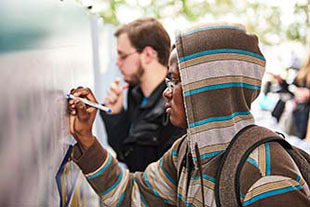 March 21 marks the United Nations International Day for the Elimination of Racism. 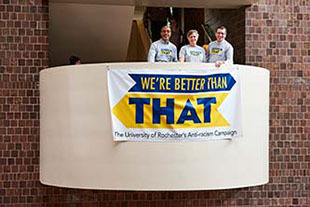 Across the River Campus and at the Eastman School of Music today, hundreds of students, staff, faculty and officials will wear gray T-shirts with the campaign's guiding message, We're Better Than That. 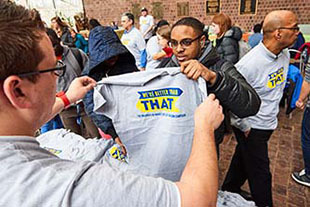 The University launched its anti-racism campaign, “We’re Better Than THAT,” at the basketball doubleheader at the Louis Alexander Palestra on Saturday, February 27. 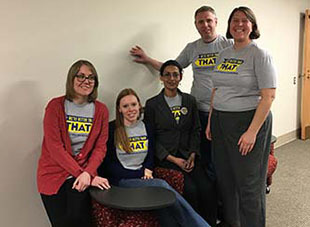 The first 200 students will receive free T-shirts, buttons and stickers with the University’s new anti-racism logo. 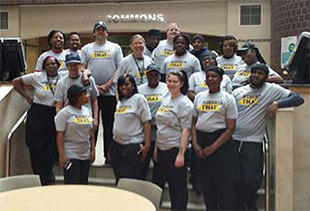 Both the men's and women's teams also will wear the gray T-shirts with the blue and gold logo during warmups. 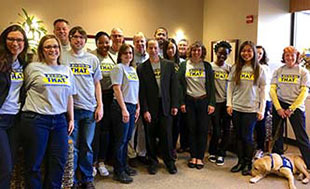 Here are links to some external resources on anti-racism awareness and action. Continue to check on the site for additional resources and materials. The University of Calgary breaks down the differences between institutional and individual racism. Insights on how to approach the topic of race in conversation in a meaningful and respectful way. 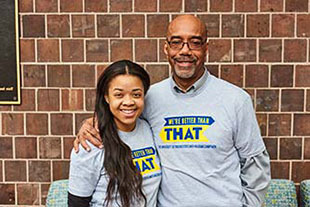 Eric Deggans encourages everyone to start a race conversation and explains how to do so. 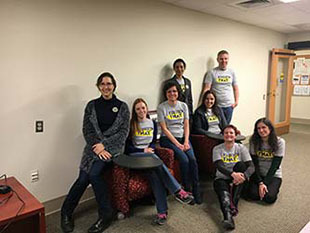 The YWCA demonstrates ways to look at race transformatively in modern day society. A collection of first hand accounts of racism in communities beyond the University. “At no time is swinging together more important than when the death threats start to come and media vultures start to circle” New York Times columnist, Charles Blow, calls for unification primarily among people of color. He looks back to a time when our communities had safe zones such as churches, where radical ideas could be nurtured and flourish. In the troubling times we live in it's important to have spaces where we can unify and share new radical ideas. 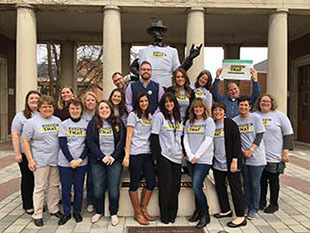 A campaign aimed at stopping hate and building acceptance in all communities. 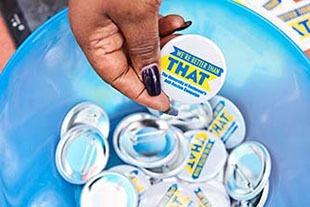 New York City organization that offers workshops, videos, symposiums, toolkits and more with the goal of undoing structural racism in our lifetime. 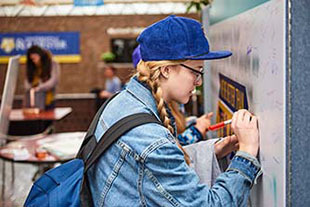 United Nations campaign to share stories and take a stand against racism in our own communities. Australian government campaign invites all Australians to reflect on what they can do to counter racism wherever it happens. 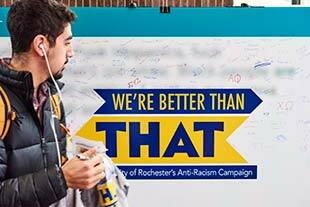 Created as a reaction to the We’re Better Than That campaign, Rochester students provide insights, personal stories, and information regarding racism in our country.